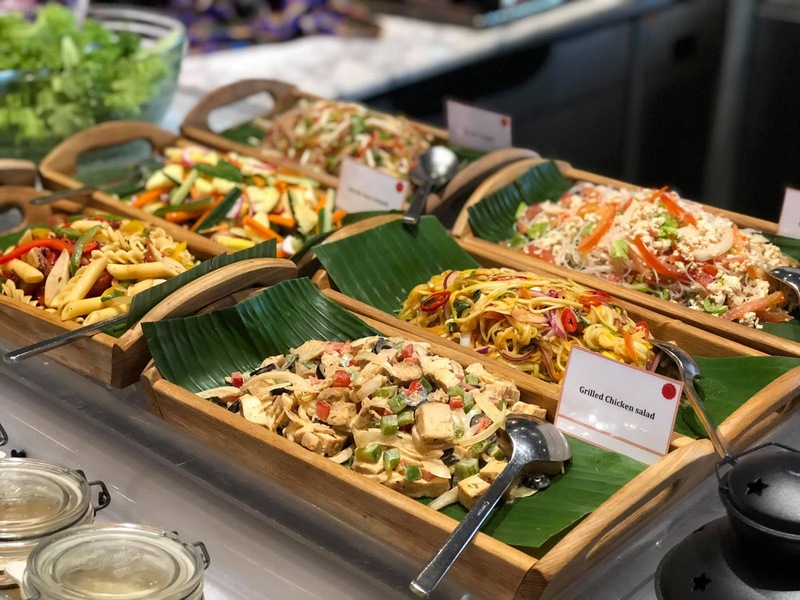 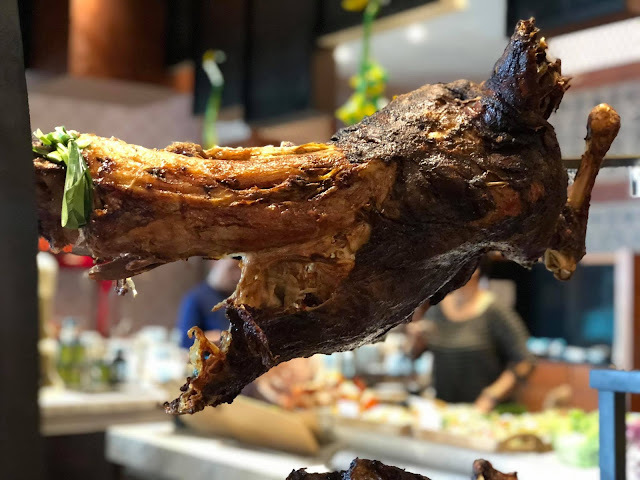 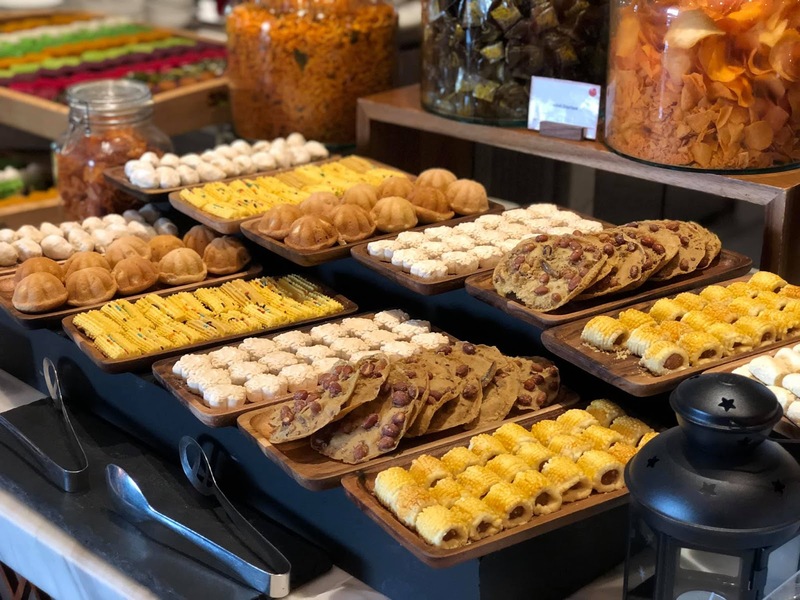 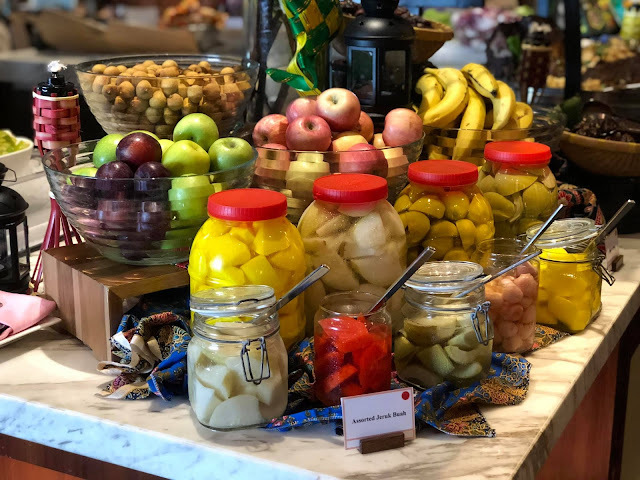 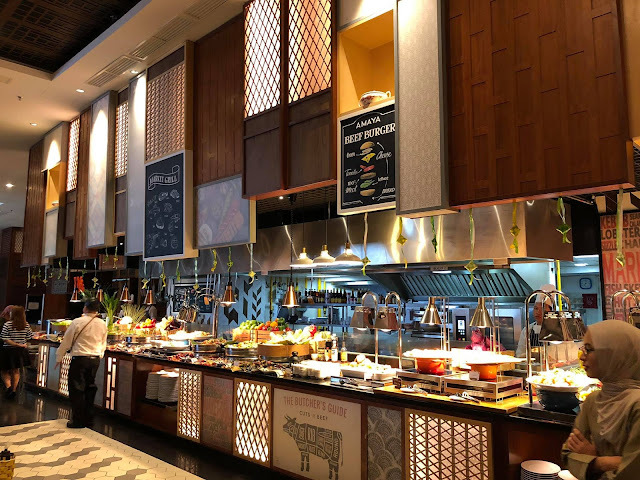 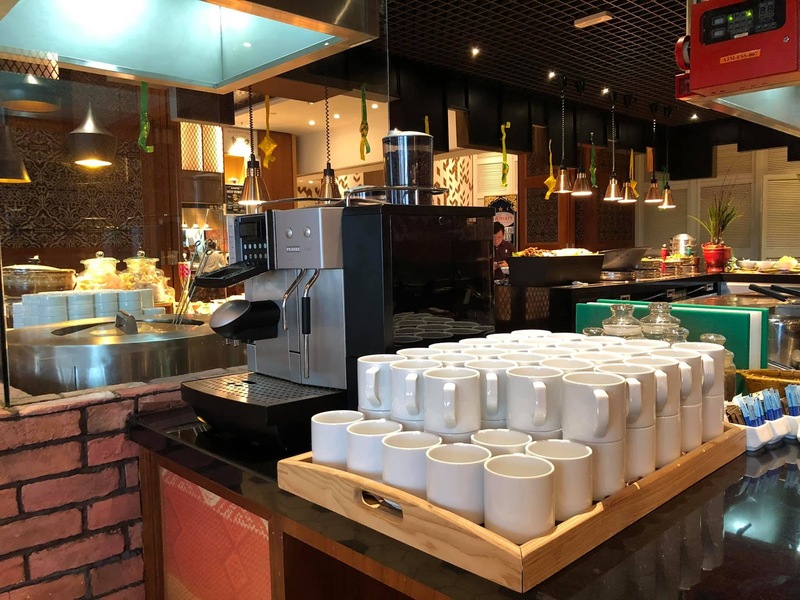 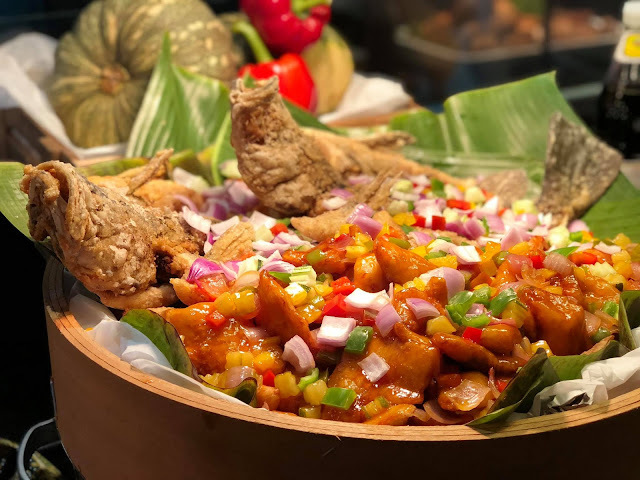 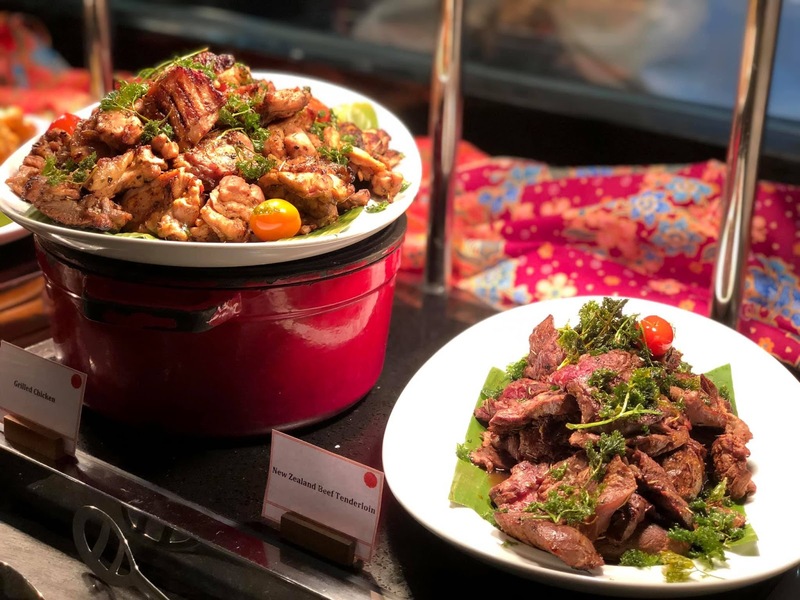 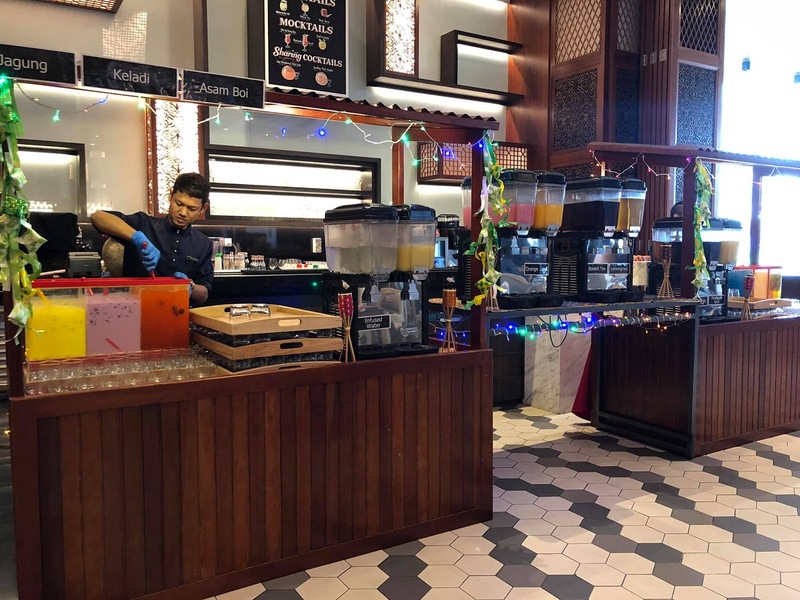 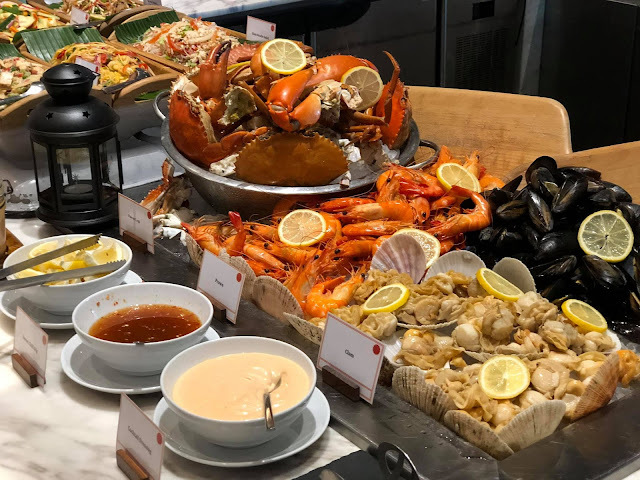 BUFFET RAMADHAN : WARISAN TRADISI ASIA AT AMAYA FOOD GALLERY, AMARI JOHOR BAHRU | The launch of the Warisan Tradisi Asia Buffet was held on 28 March 2019 at Amaya Food Gallery in conjuction with the coming fasting month. 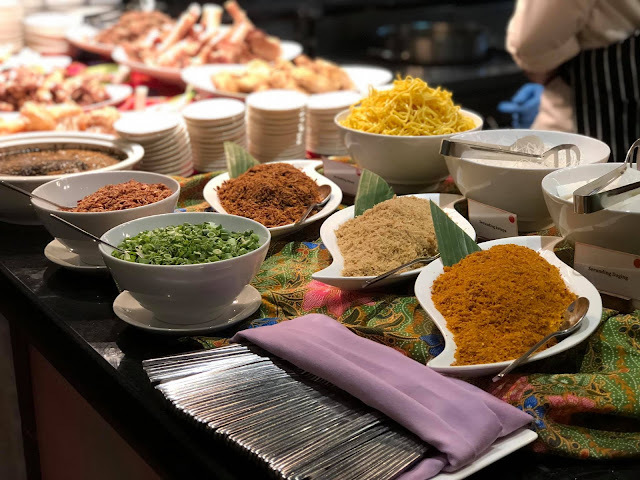 The launch started with the stirring of the Rendang Rusa Gulai Kawah by Area General Manager, Dean Rossilli followed by a tradisional welcome Malay Dance by Flock Team from Angry Birds Activity Park. 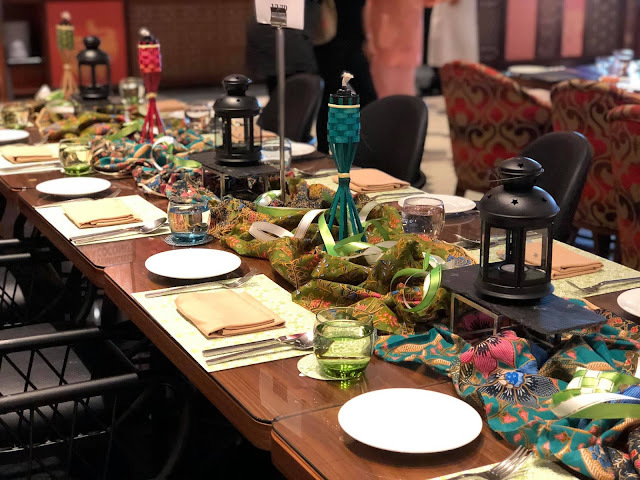 About 350 guests from the corporate and government sectors including VIP's attended the launch. This is the second year that the hotel has successfully launched the Warisan Tradisi Asia Buffet. 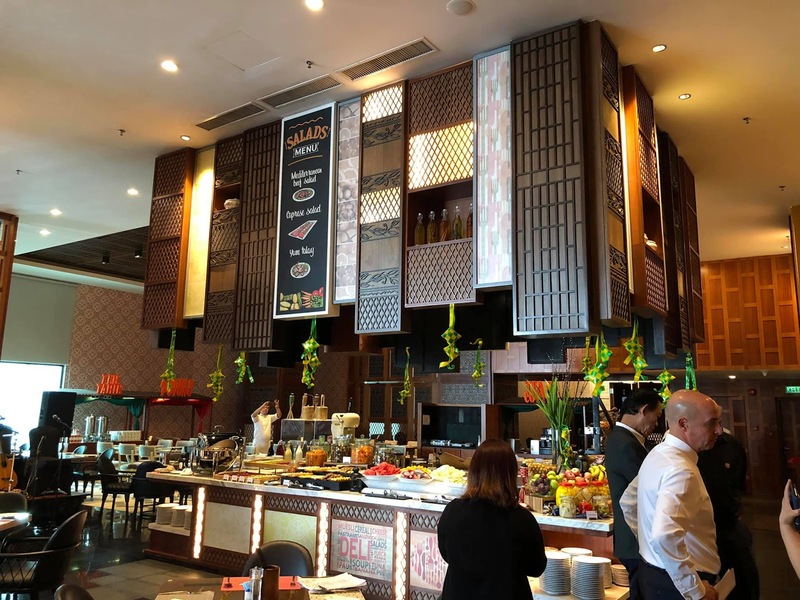 This fasting month, Amari Hotel Johor Bahru is all set to present to you Warisan Tradisi Asia Buffet from 8 May to 4 June 2019 which consist of over one hundred dishes from Malay, Chinese, Indian, Thai to western favourites and specialties. 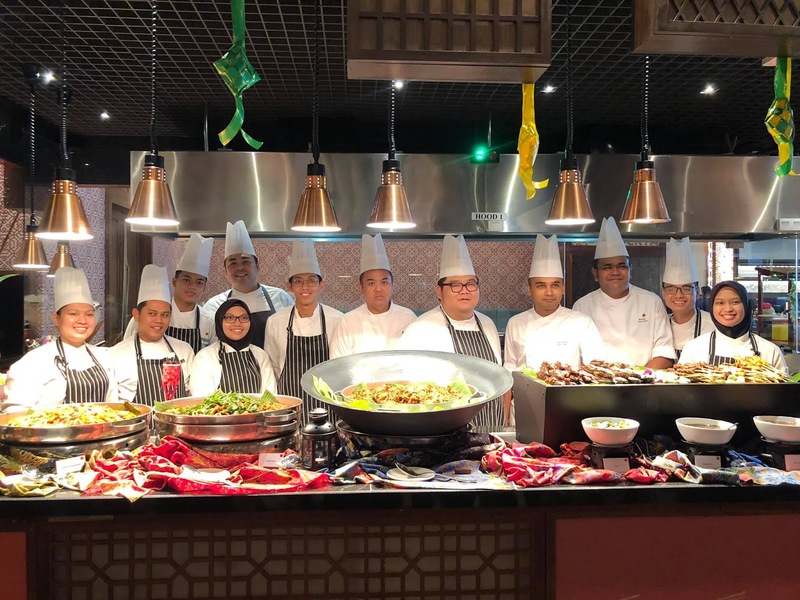 The culinary team, led by Cluster Executive Chef, Andy Oh has come up with a unique concept of a bustling local street scene with live cooking stations for muslims and Non-Muslims to enjoy. Be entertained daily by a local Ghazal perfomance while you indulge in the buffet. 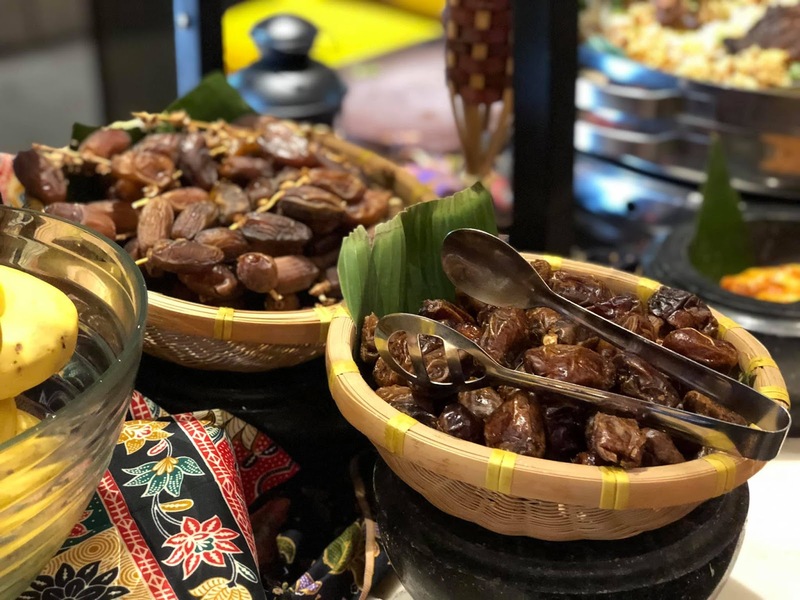 Break your fast with delicious date and variety of juices and beverages such Nescafe Tarik, Sirap Bandung, Air Tebu, Sirap Selasih, Soya Bean, Kurma Juice and Teh Tarik to quench your thirst. 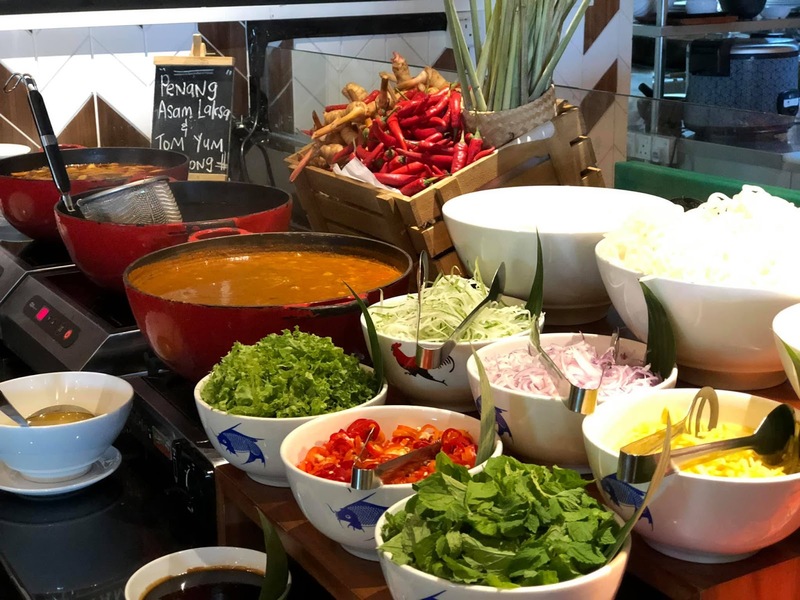 Then, visit our vibrant live cooking stations offering Kambing Golek, Roti Canai, Murtabak, Tom Yam Seafood, Soup Berempah and Penang Laksa. 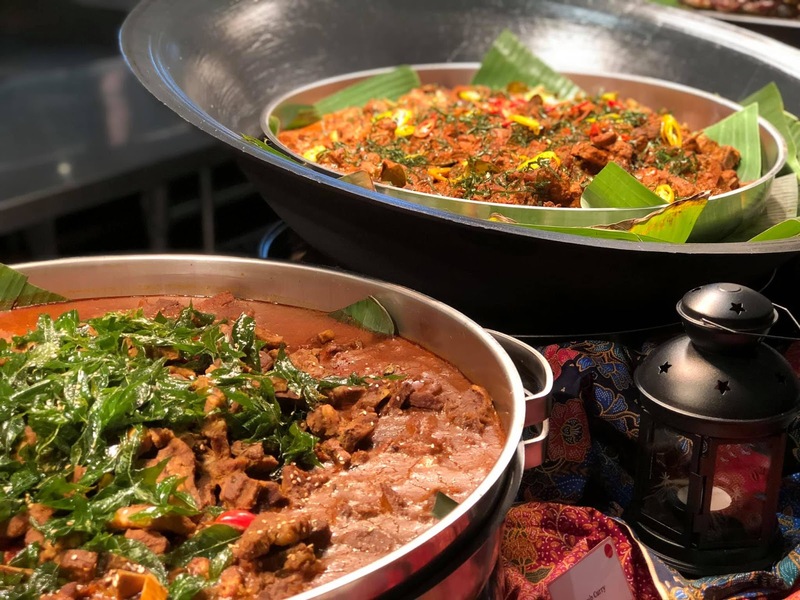 Feast your eyes on the Kawah Station serving Rendang Kawah Rusa, Nasi Himpit, Sayur Lodeh, Serunding Ayan, Serunding Daging and Serunding Kelapa. Next, go for the Seafood On Ice, Kerabu and Thai Salads, Ulam-ulaman, Rojak, and a variety of Jeruk. 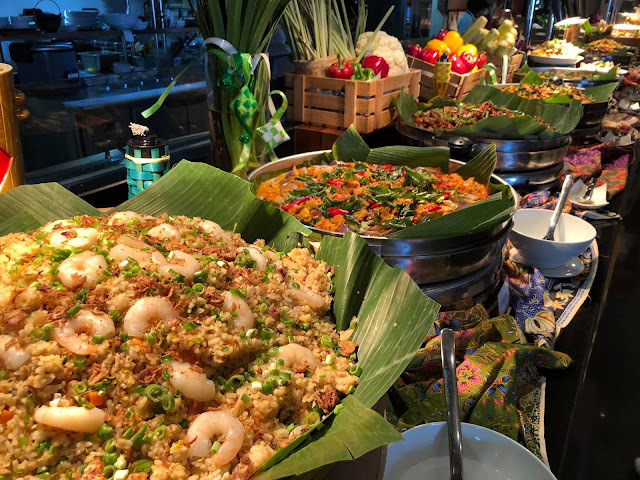 You cannot resist many more dishes on the buffet like Roasted Marinated Whole Chicken with Roasted Vegetables, Thai Fish Cake, Tom Yam Pizza, Rendang Pizza, Thai Red Curry Chicken, Fried Squids with Garlic and Pepper, Stir-fried Shrimps with Young Coconut, Stir-fried Minced Beef with Garlic and Hot Basil, Bubur Lambuk, Ayam Masak Merah, Lamb Curry, Udang Goreng Kunyit, Ikan Bakar, Assorted Satay, Dim Sum, Fried Fish with Sweet and Sour Sauce, Kung Pao Chicken, Wok-Fried Mixed Vegetables, Fried Rice, Tandoori Chicken with Naan Bread, Lentil Curry, Briyani Rice and Roasted Marinated Spice Whole Lamd. 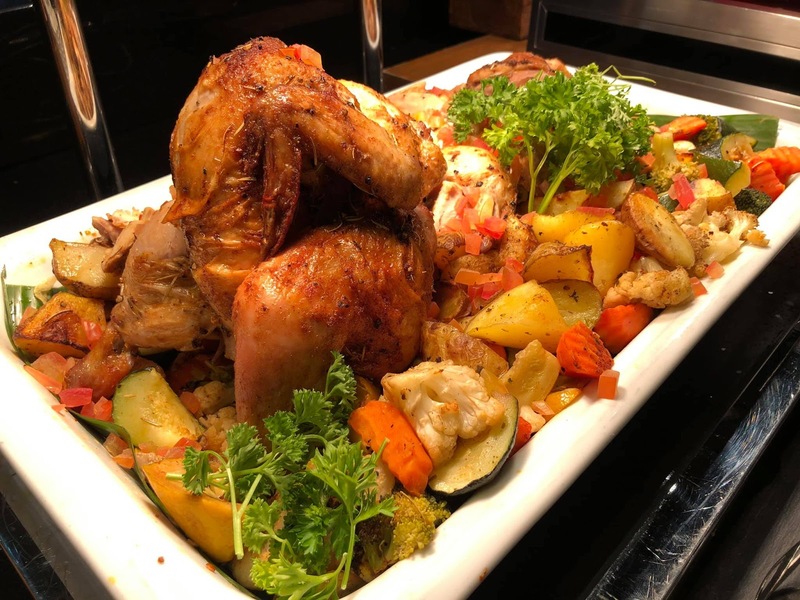 Juicy Chicken, New Zealand Beef Tenderloin, Sausages and Calanari are at the Grilled section. 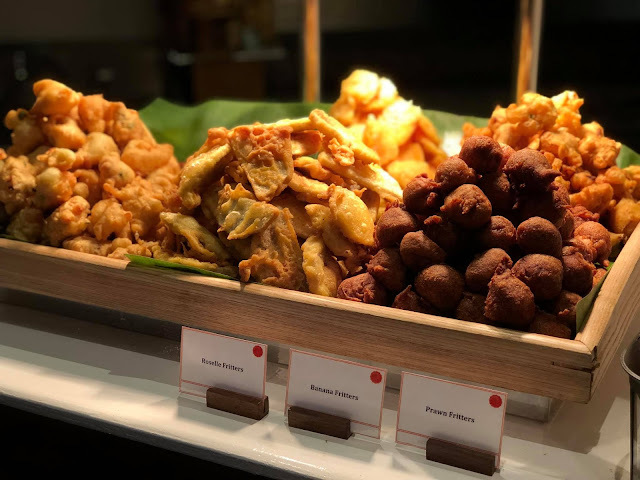 There are lots of fritters from Banana, Roselle to Prawn Fritters. 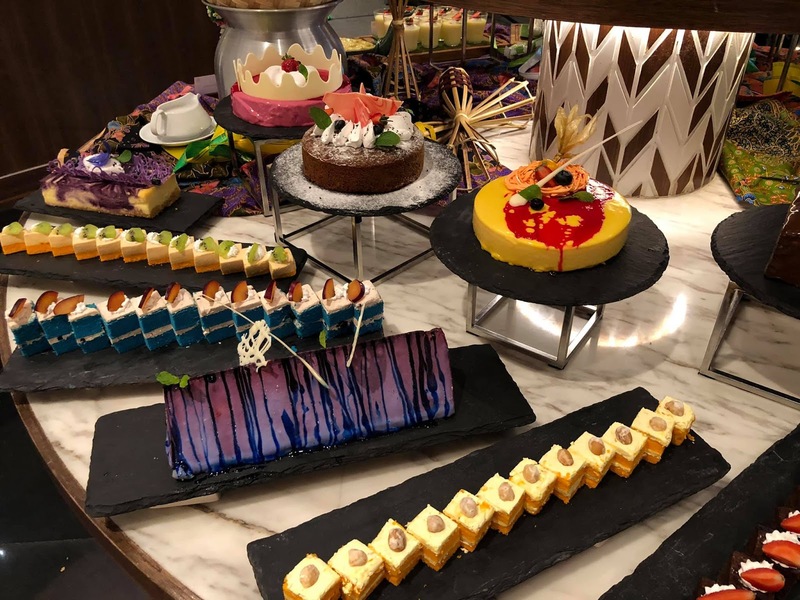 Desserts are to die for. 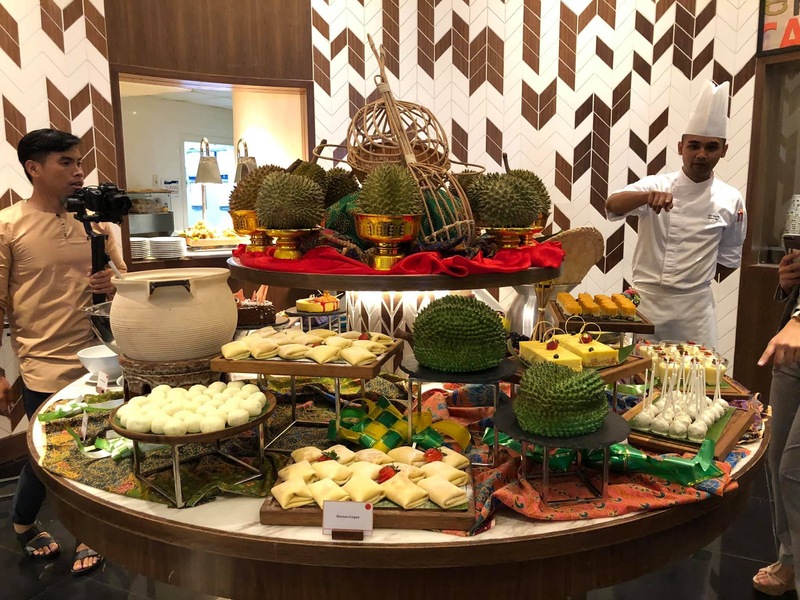 If you crazy about Durians, head for the Durian Tempura, Durian Cheese Cake, Durian Crepes, Durian Sticky Rice, Durian Pudding, Durian Dodol, Durian Ice Shave and Durian Porridge. 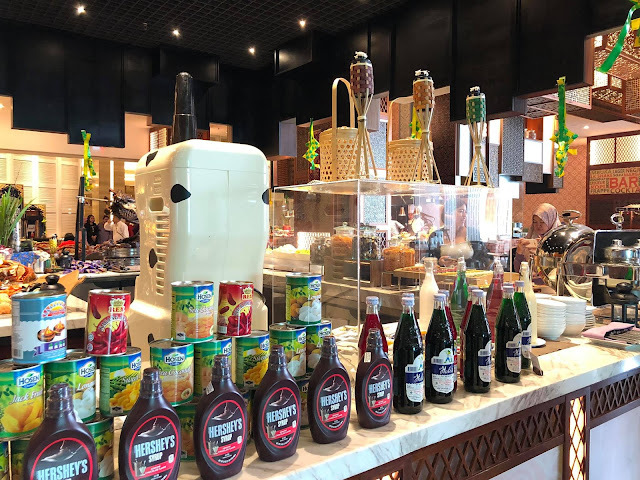 There is also assorted Ice-Cream, Kurma, Bubur Pulut Hitam, Bubur Kacang, Ice Kacang, Assorted malay Kuih, French Pastries, Jelly, Puddings, a varietyof Cookies, Sago Gula Melaka, Fruits, tradisional Malay Biscuits, Bread & Butter Pudding and Pulut Panggang. 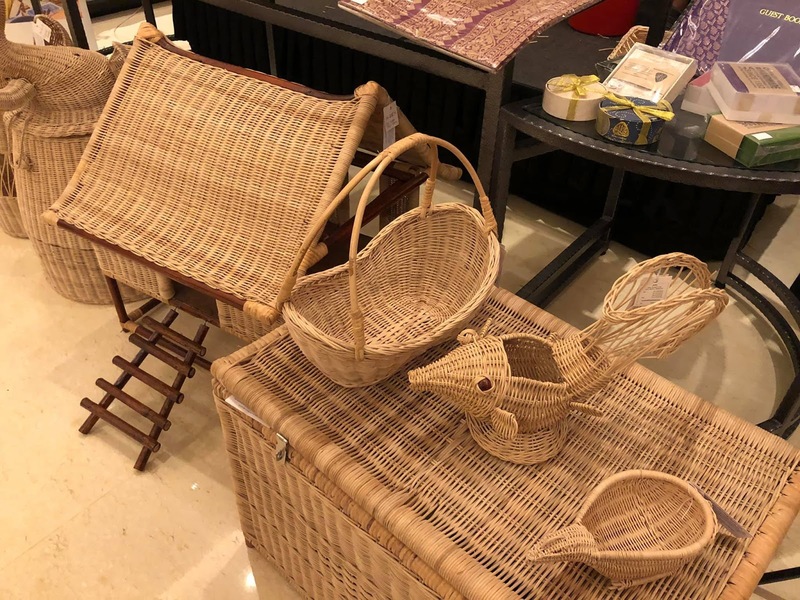 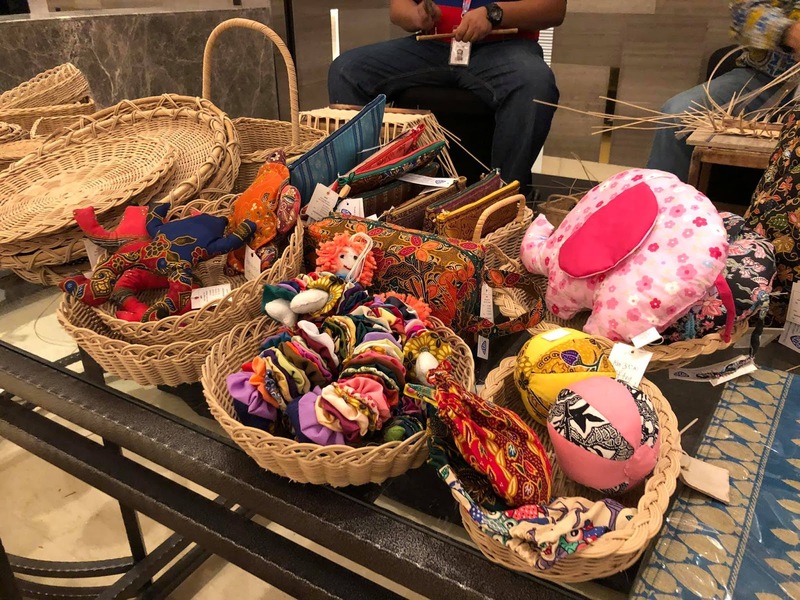 During the fasting month, there will be a rattan weaving demonstration and a display of handicrafts for sale by the physically staff from JARO (Johor Area Rehabilition Organisation) from 6.00pm to 9.00pm from Fridays to Sundays. 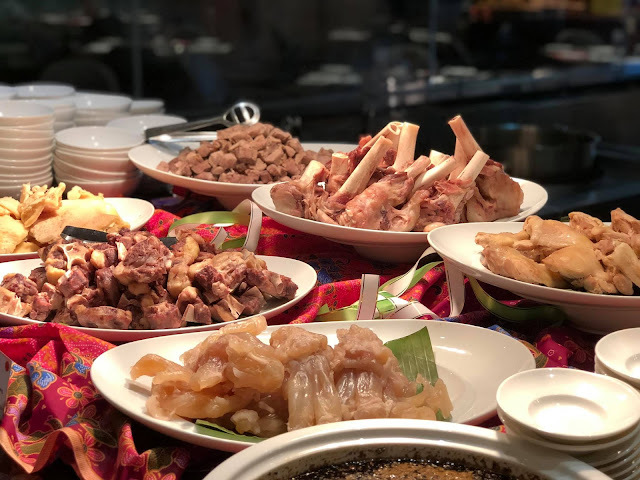 The Warisan Tradisi Asia Buffet is from 6.30pm to 10.30pm at the Amaya Food Gallery at RM 129nett. 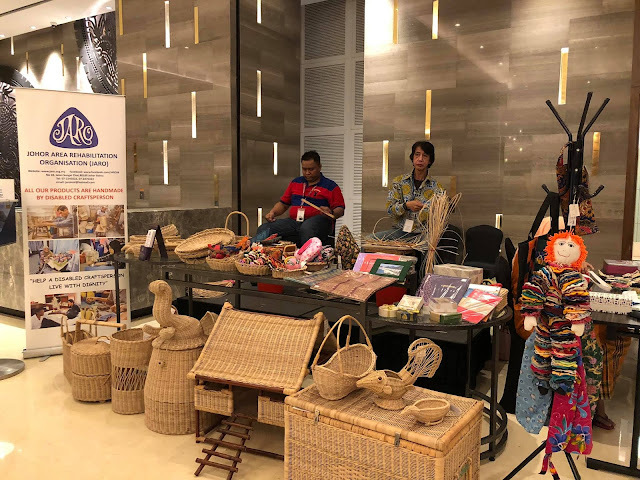 50% off for children aged 6 to 12 years old and senior citizens aged 60 and above. 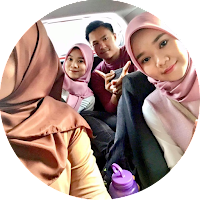 Purchase 5 adult vouchers and get 1 voucher for free (not applicable for early bird offer). 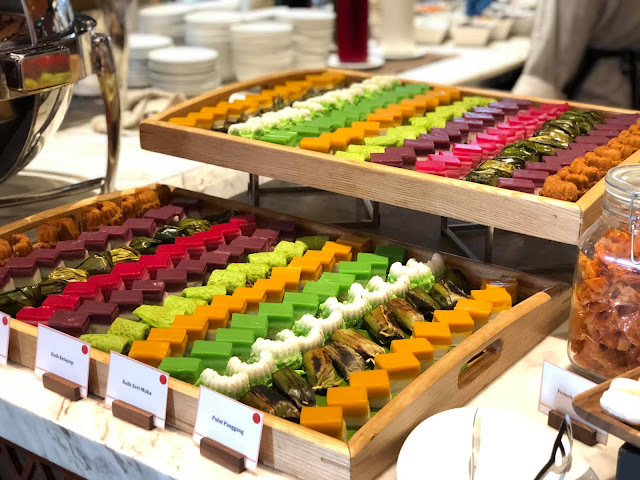 The Early Bird Offer before 7 May 2019 with full payment is RM 103.20nett per-person and RM 51.60nett for children from 6 to 12 years and senior citizens aged 60 and above. 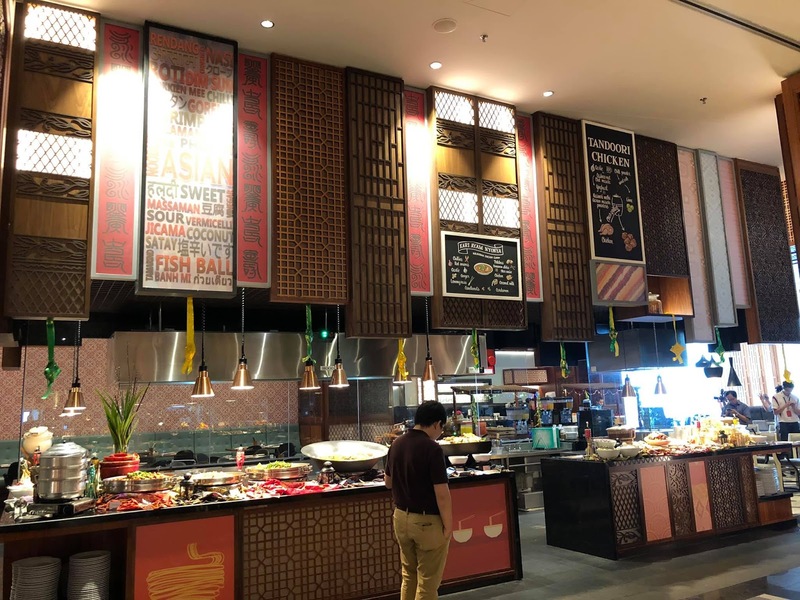 Children below 6 years old eat FREE during the fasting month . 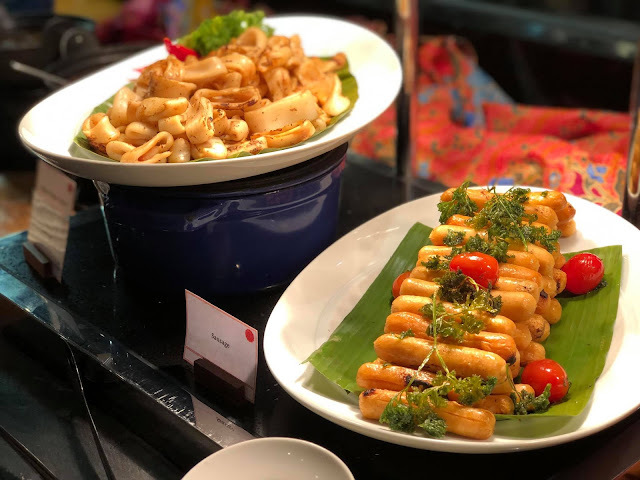 If you are not going back to your home town for Hari Raya, then come and celebrate this festive occasion at Amari Johor Bahru. 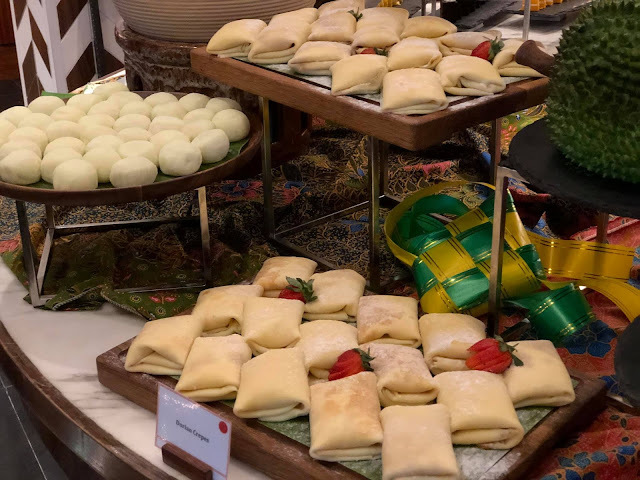 The Hari Raya Hi-Tea Buffet is on 5 & 6 June from 12.30pm to 3.30pm at the Amaya Food Gallery. It is RM78 nett per adult and 50% for children from 6-12 years old and senior citizens aged 60 and above. The Hari Raya Aidilfitri Buffet Dinner on 5 & 6 June from 6.30pm to 10.30pm at Amaya Food Gallery is priced at RM98 nett per person and 50% off for children from 6-12 years old and senior citizens aged 50% and above. P/S: Memang banyak pilihan, naik rambang mata nak makan mana satu..Korang bayar, korang makan...korang pasti tak rugi..
banyakknya pilihan makanan diaaa.. terliur tengok..